Celebrity Stylist Susan Moses has a new book out and it’s one that is dedicated to plus size women. Moses has styled many celebrity clients, including Britney Spears, Destiny’s Child, Queen Latifah, Kathy Bates, Wynonna Judd, and many others. She is now sharing her fashion wisdom with plus size women in her new book The Art of Dressing Curves: The Best-Kept Secrets of a Fashion Stylist (Harper Collins). “As a stylist, I’ve made a career of helping curvaceous women on and off the red carpet feel more confident about themselves, showing them how to dress in a way that not only enhances their body shape, but reflects who they are as women. The fashion industry’s fantasy female—an eternally young and very thin model—is an undermining ideal that has excluded millions of women all over the world from the fashion conversation. We hear this book is not just a style guide. It’s also a confidence-building guide that will inspire women to dress their curves to look great and feel great. The book can be found at Harper Collins here, Barnes and Noble here, and Amazon here. 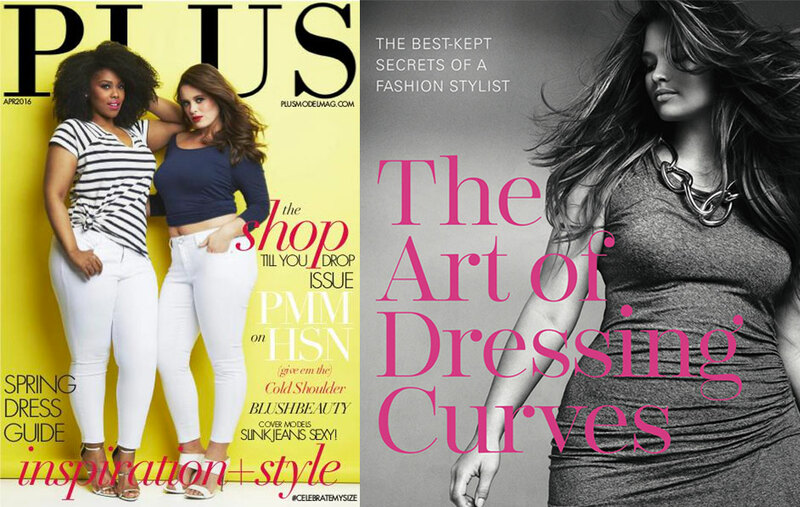 Kudos to Moses for writing a book geared towards plus size women and fashion. It is a testimony to the message that style knows no size.